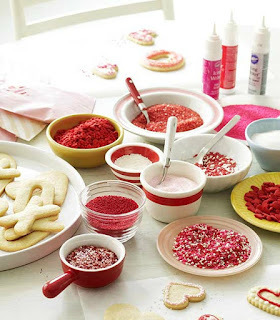 Valentine's Ideas You'll Love ~ Whatever Valentine's Day ideas you're searching for this February 14 from homemade Valentine's Day cards to cute-as-can-be cupcakes or maybe a gift for your valentine, this post has some of the best Valentine's Day ideas in one heartfelt spot! 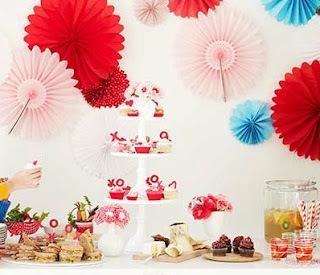 Valentine's Day Dessert Bar ~ Here's a fun idea for Valentine's Day: have a decadent dessert buffet. How excited would your family be if you gave them this after dinner! 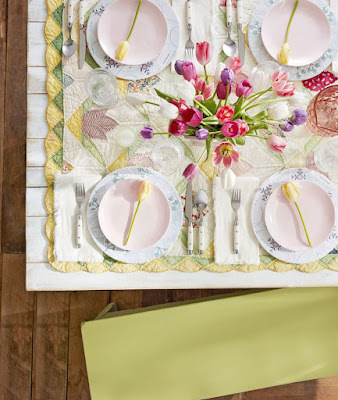 Set it up by stacking a white table with festive sweets like cupcakes and fruit punch. Pink and red paper fans add the finishing touch. 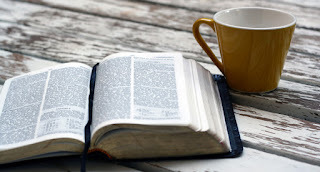 Valentines Day Mystery Message ~ This holiday is just as fun for the kids. 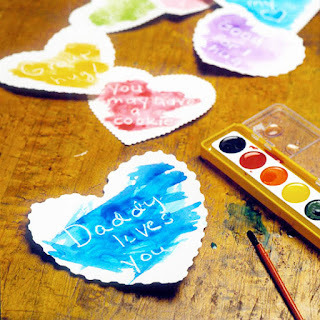 Make it a family affair and cut hearts from white paper and write notes to the kids with a white crayon. On Valentine's Day, give your kids a heart and a palette of water colors. 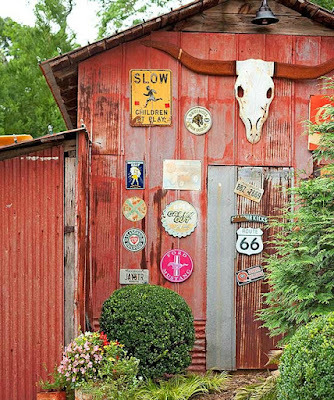 A few swipes of paint reveals your sweet sentiment. Heart-Shape Pudding Cakes ~ Perfect for a Valentine's Day date night in, these lovely desserts combine two fabulous flavors, lemon and lavender, in a cute heart-shape serving dish. Try combining leftover lavender with coarse rock sugar for a beautiful garnish. 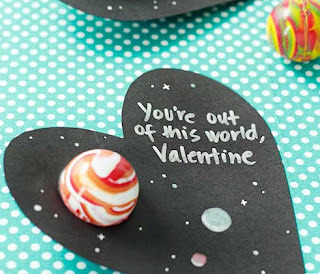 Galaxy Valentine's Card ~This Valentine's Day card idea is outta this world! 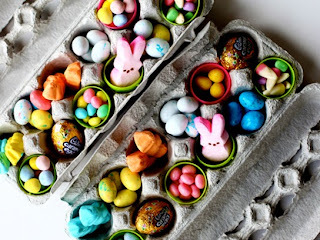 They're so easy to make! Simply cut hearts from black construction paper and splatter paint to get a spacey look. Add a planet by cutting a rubber toy ball in half and add a sweet saying. Cookie Decorating Station ~ Share the love this Valentine's Day with a DIY cookie decorating station that gets the whole family involved. 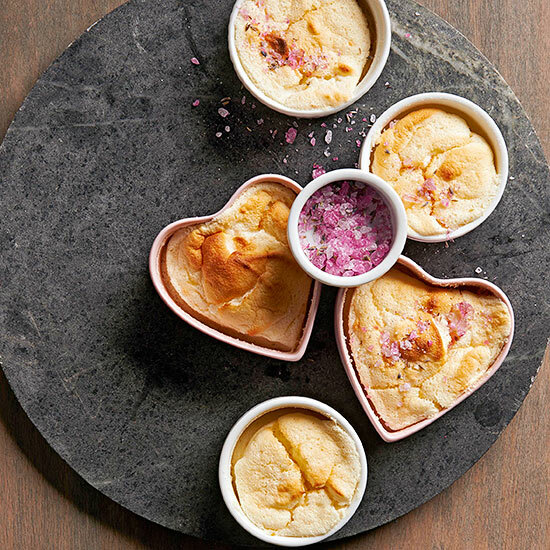 This Valentine's Day dessert idea brings everyone together for an afternoon of fun. Movie Basket for Two ~ A favorite movie, roasting marshmallows, champagne, and a carryout menu are all you need for the perfect Valentine's night in. 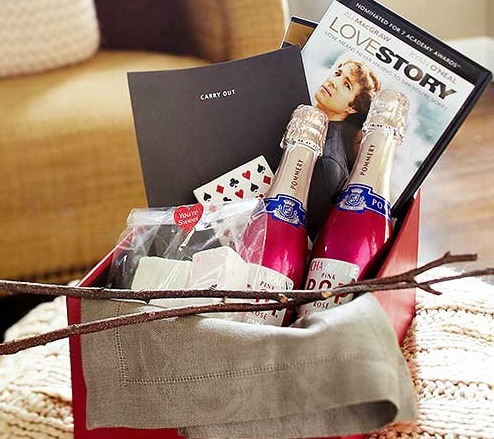 Super easy to put together but very thoughtful -- this gift is all about spending time together. Healthy Valentine's Day Note ~Treats don't have to be unhealthy to be delicious. 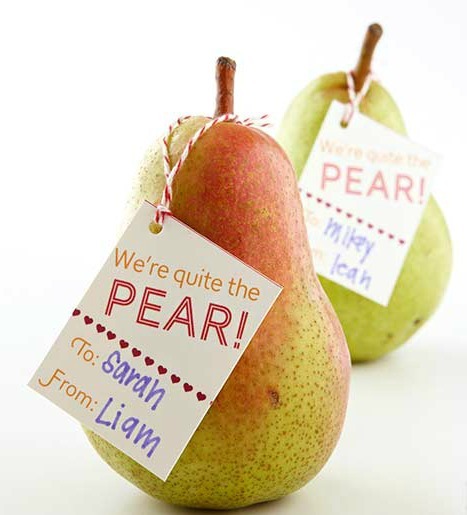 Attach this funny tag with decorative string for a Valentine's Day gift idea that's wholesomely sweet. 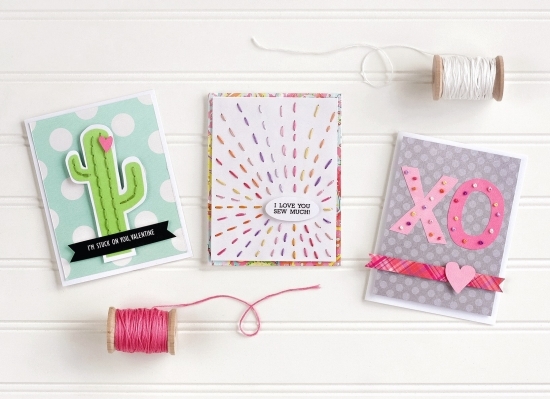 Hand-Stitched Valentine's Day Cards ~ Turn to a needle and thread to create these easy Valentine's Day cards. A few simple stitches is all it takes. 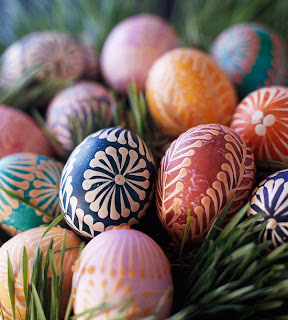 Learn how to make them. Red Velvet Cupcakes ~ Decadent red velvet cake is always a favorite on February 14. 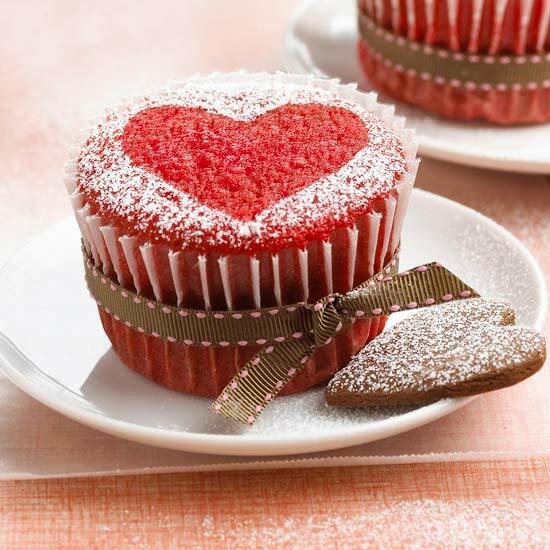 Lay a heart-shape cookie or paper cutout on the top of each cupcake, sprinkle with powdered sugar, and lift the heart to reveal your design. By adapting the size of the heart or using several hearts, this technique could be used on full-size Valentine's Day cakes as well.